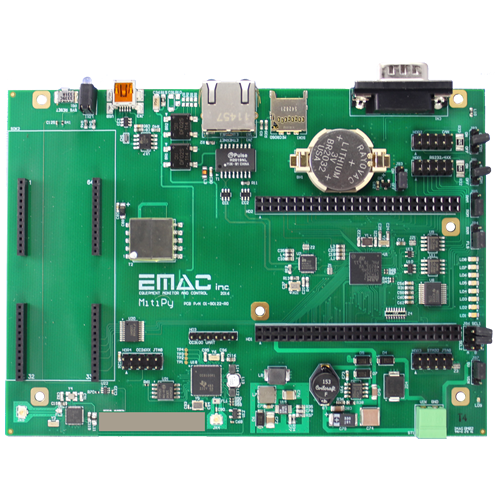 The Mitipy™ Industrial IoT microcontroller was created to simplify connecting devices and machines to the multitude of systems you find in the Industrial environment EMAC Inc. 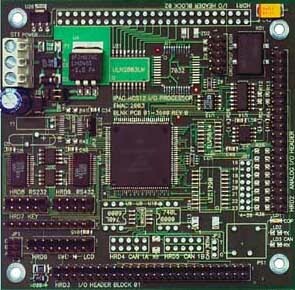 The PCM-4386 is an EPIC form factor embedded CPU board for industrial computing. The EPIC standard defines a 4.53" x 6.50" footprint, which sits between the smaller PC/104 and the larger EBX form factor. The PCM-4386 can undergo a Extended Temperature Testing (ETT) process, which guarantees reliable operation in extreme temperatures ranging up to -20°C to 80°C and can resist the most severe shock and vibration. SBCs that pass the ETT are guaranteed for thermal reliability and quality. The Standard PCM-4386 uses a fanless 600 MHz Intel® Celeron® M processor and up to 1 GB DDR SDRAM memory that is a perfect match for low-power economical applications. It does not require active cooling; making it an ideal, cost-conscious solution for transportation and automation control in remote and severe locations that require reliability. The PCM-4386 provides PC/104+ expansion, allowing for scalable ISA and PCI modular expansion, which are designed for high shock and vibration. Additional communication, data acquisition, and peripheral PC/104 & PC/104+ modules can be easily stacked on to the PCM-4386. This SBC offers dual channel LVDS panel support up to UXGA (1,600 x 1,200) panel resolution, a popular display solution for POS terminal applications. 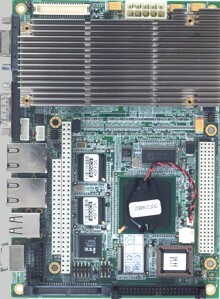 The EPIC specification defines a unique external I/O coastline for easy access and expansion and the flexibility to implement internal I/O connectors as either pin headers or box header connectors. The PCM-4386 is a PC/104+ embedded SBC in the EPIC form factor which offers severe shock and vibration resistance, with extreme temperature reliability. It provides multiple I/O options and ultimate scalability, making it ideal for transportation, military, and automation applications in the most severe and harsh environments.